Before we switch gears and talk comics, I hope you all had a wonderful Back to the Future Day. It was amazing to see the entire world celebrate three brilliant movies that were a huge part of my childhood. While Pepsi was getting grief over how quickly Pepsi Perfect sold out, Nike announced that it had actually created self-lacing shoes! The Nike Mags, which will drop next year, are going to be auctioned off with all proceeds going to the Michael J. Fox Foundation for Parkinson's Research. In 2011 a similar auction of Mags, without the power laces, raised nearly $5 million so it will be exciting to see how much the new shoes will raise. Now we just need self-drying jackets. Darth Vader #11 - It might be the hype of The Force Awakens or the fact that my family recently watched all six Star Wars movies, but I tend to always have Star Wars on my mind. Not sure if this bias impacts anything, but I have just really been enjoying the new comics. In the current issue of Darth Vader, the Sith Lord might regret stealing Imperial credits in order to pay a crime lord for Skywalker's location. Not only is he still making up for the Death Star fiasco, he is under investigation after some Imperial credits go missing. He currently has to put up with Inspector Thanoth, who is quite skilled at what he does. 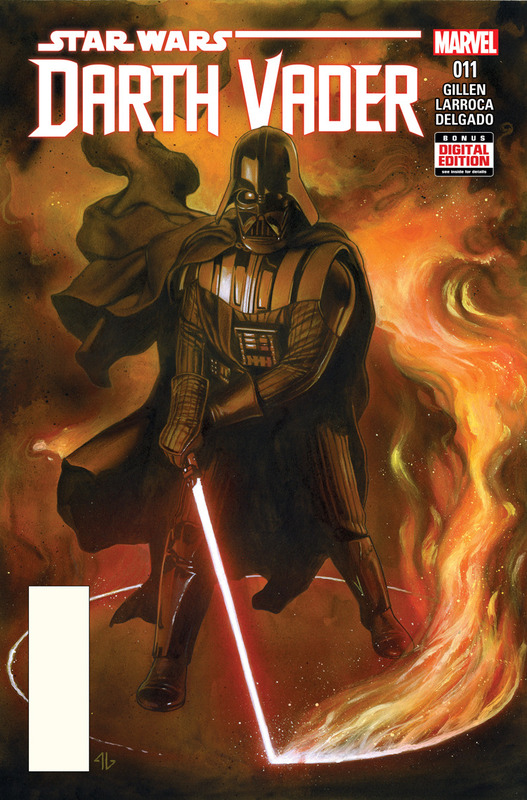 In this issue he leads a raid to catch Dr. Aphra, Vader's partner in crime. Thanoth always seems one step ahead of Vader and will stop at nothing to pin the crime on him. This continues to be one of my favorite new Star Wars books and is filled with twists at every turn. There is something very entertaining about watching Vader sweat. Back to the Future #1 - IDW has teamed up with Bob Gale for a four-part mini-series featuring untold tales and alternate timelines. The first issue is composed of two short stories in which we learn how Marty and Doc first met and that Doc Brown worked on The Manhattan Project. Gale does a nice job imparting classic Back to the Future humor and we even have a Needles sighting! 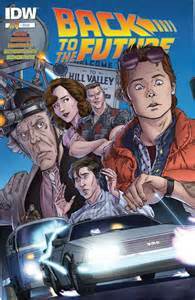 It was fun to return to Hill Valley and I think that Back to the Future fans will enjoy this series. 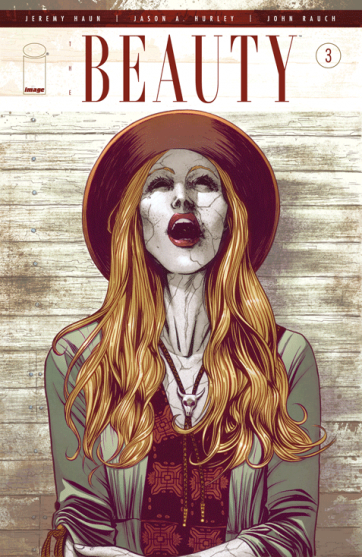 The Beauty #3 - This issue does not beat around the bush. Foster and Vaughn are rescued by anti-beauty extremists and get a first hand view of the size and scope of this well organized movement. They claim to have a cure, but need to somehow convince the public how serious of a threat the beauty is. Despite a solid plan, this group has no idea about the horror that is Mr. Calaveras, a Joker type character who has a vested interest in keeping the cure for the beauty down. 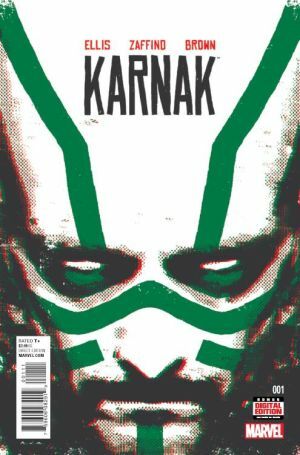 Karnak #1 - One of the rules in regards to comics, is that if it is new and it is from Warren Ellis you should pick it up. That was my mindset when I picked up Karnak, knowing little of the Magister of the Tower of Wisdom. After reading this issue, I know that Karnak is not to be messed with and occasionally visits the human world to assist Agent Coulson with inhuman matters. After joining Magister Karnak for the beginning of this investigation, I plan on sticking with him as he tried to uncover why an inhuman boy has been kidnapped. Good stuff.